The sequel to the first Forbidden Siren is here, craftily named with a number two after it! This was a unique type title in the horror genre with the ability to use the sight of the undead that you were hoping to avoid when they were not ready for it, thus hoping to avoid confrontation. 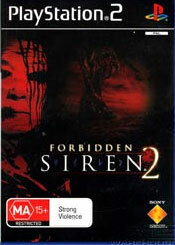 The last version of Forbidden Siren was hard to play for starters! Now I must come clean and state that when we receive some of these review titles that we only get a disc, not a manual or anything else to give us any help in understanding a game and Sony’s reps at the time did not furnish us with one. It made things quite difficult as you can imagine! This is a creepy game in both visuals and the general storyline itself. The title has seen improvements from the first title and removed many of the annoying parts of the first game including the fact that you could not even save the game at many points of the title where it would have really come in handy to do so. Now, the game saves at key points in the game and actually is easier to play without a manual (yes! We didn’t get one again!). 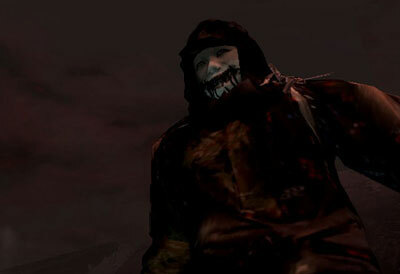 Gamers who were aware or have played the first game would realise that the primary enemy, known as the Shibito, cannot be killed in the game so you really have to keep on your toes and not take it for granted when you make your way through any areas of the game that you think you have cleared out. Also unlike the first game, FS2 gives you character a stack of fighting skills that stand you a better chance of making it through this time. It also takes away a bit of the suspense though as your character is geared up enough to take on the supernatural without resorting to sneaking around or sight jacking all the time. It makes for a faster game however removes some of the suspense when you know that you can physically take on the enemy. 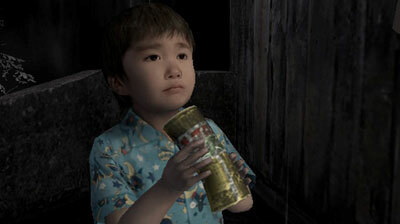 There is a puzzle aspect to the game, most of which will entail finding particular items before making it through to the next area of the game. Not all of the items would make a lot of sense when you come across them but you will sure as heck need them. FS2 also takes us beyond the walking world and very briefly into vehicles. This is a bit of a mixed expericnce and not one that adds much to the game, neither does it detract for that matter. There are a number of characters that you deal with again in this game and they have different abilities with regards to sight jacking, with one of the most curious being the ability to look into the past. These are used all too briefly considering how cool they are and pretty soon you will just be doing the default jacking to get you through the hardest bits of the game. Graphically this title is even nicer than last time with some disturbingly realistic looking faces and lighting. I actually found it disconcerting how realistic the face mapping is on this title, which made perfect sense for a horror title. All things said and done there are parts to this title that will infuriate some gamers and please others. As the reviewer of this game I would say that I was more happy with it than displeased. Sure there are some niggly control issues at times, however it’s a title that is ultimately satisfying to play and will certainly give you good reason to jump out of your chair on occasion.